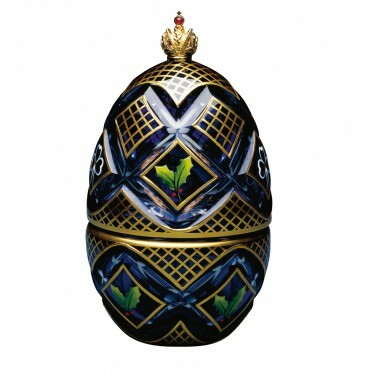 A fusion of winter ice and festive cheer, The Winter Egg is a celebration of Christmas and the winter season. 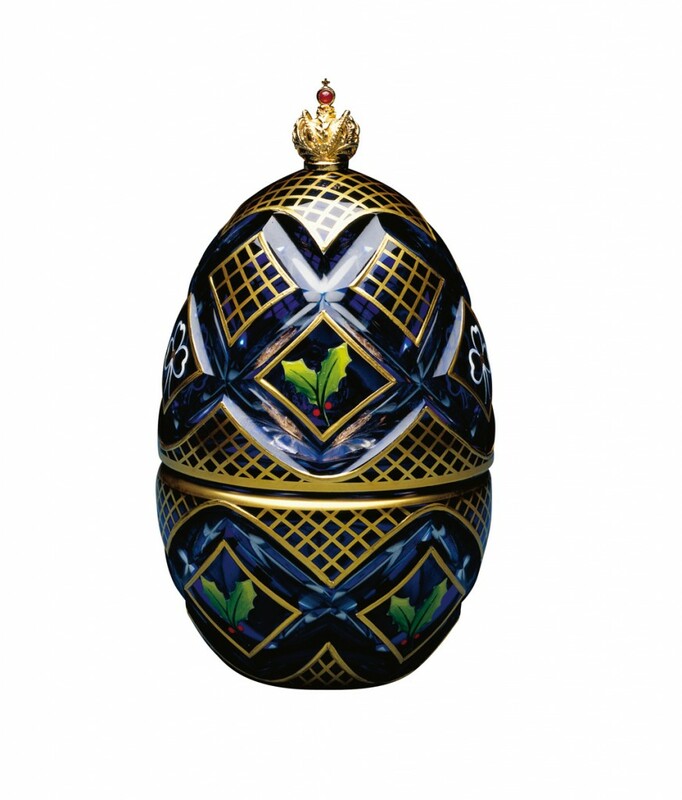 Made of cobalt blue and clear crystal, it is set with the Imperial Crown of Russia. 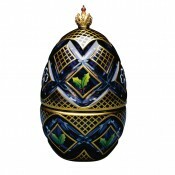 Delicate bows and holly decorate the Egg, which opens to reveal a music box that plays 'Silent Night'. The sterling silver base is engine turned in a starburst pattern. The vermeil crown inside winds up the mechanism and turns with the music. A cabochon ruby operates the miniature mechanism. Materials: Crystal,Sterling silver, 24 carat, ruby and enamel.